Focus on growing your online business by outsourcing order fulfillment. Many retail merchants looking for products to sell without the high costs of inventory and the hassles of packing and shipping products have discovered drop shipping to be the perfect solution. With this model, you list and sell a product at whatever retail price you set, collect your money, and then order the product from a drop-ship wholesale supplier, who packs and ships the product directly to your customer. Drop shipping is the ideal low-risk solution for starting a retail business, particularly for online merchants. You don't need a great deal of startup capital to launch your business. With a drop-ship supplier and an eBay account or your own Web store, you can immediately start selling products online. You order the product only after you receive payment from your customer, so if the product doesn't sell, your loss is limited to any listing fees you paid. If it does sell, you simply ramp up your marketing and sell more products. By outsourcing inventory management, packing and shipping to the drop-ship supplier, you can invest more time, energy and creativity in the more enjoyable and critical aspects of your retail businessproduct and market research, marketing and advertising, customer service and actually managing your business. Drop ship setup fees are minimal. You pay your supplier after your customer pays you. Your supplier stores and manages the inventory; you don't have to purchase or manage inventory. Your suppliers pack and ship products for you. You don't have to hire additional personnel to handle packing and shipping. You can test the market on a shoestring budget by selling one or two items. Drop ship fees may increase your expenses. A drop fee is a per-order fee that covers the cost of processing the order. You typically pay the same fee no matter how many products you include in your order. You can't save money by purchasing in bulk. Your supplier may run out of a hot-selling product. When your supplier runs out of a hot-selling product, it may put you in a backorder situation: Your customer orders an item that is out-of-stock, so you can't deliver it. Although this is something to be concerned with, you can minimize the risks by carefully monitoring your supplier's inventory, running shorter auctions, or even having a few of a popular product shipped to you, in case a backorder situation arises. To implement drop shipping in your retail business, you have two choiceseither search for drop-ship suppliers on your own and negotiate with each one individually or gain access to multiple suppliers through a product sourcing marketplace, like Doba, which offers its customer sellers more than 1.5 million products to sell in more than 8,000 product categories representing more than 3,200 brand names. Doba also offers a lowest drop ship wholesale price guarantee, free and premium educational and training resources, integrated data research tools, and additional tools to improve the success of Web retailers. Doba is currently offering visitors to Auctiva.com/edu a free 14-day trial of its service. To learn more, visit www.doba.com/partners/auctiva. Several Web sites offer lists of drop-ship suppliers. Many such lists, however, can be difficult to work with and some are outright scams. In addition, even after you have a list of suppliers, you have to contact each individually, negotiate prices, and then learn each supplier's system for taking orders and managing your account. A description of your type of business, marketing techniques, target market, etc. What's your average discount on a product? "Wholesale price" has a different meaning for different suppliers. How much is your drop fee? Do you provide digital images and product descriptions that can be used to advertise the products for sale? How often will you supply me with updated quantities of products in inventory? If a supplier rarely updates quantities in inventory, you face an increased risk of selling a product you cannot be delivered to your customer. What's your return policy? A no-return policy can negatively affect your bottom line. Which agent offers the lowest wholesale prices? Wholesale prices vary from one supplier to another. Compare the wholesale prices of several identical products to determine which prices are lowest. Which services are included in the price? Some product sourcing marketplaces may offer lower wholesale prices by trimming back on services. Do the marketplace's suppliers offer product descriptions and photos to use in your marketing? Does the marketplace offer tracking information for shipped items? 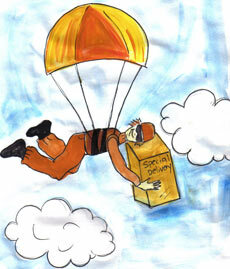 Do suppliers offer blind drop shipping, so the item appears to have shipped from you? Does the product sourcing marketplace offer fraud protection? How much is the average drop fee? All drop-ship suppliers charge a flat fee per order, regardless of how much you order. This is typically $2 to $5. Is the product sourcing marketplace reputable and reliable? Your customers' satisfaction depends on the reliability of your product sourcing marketplace and its suppliers. A reliable marketplace and suppliers increases customer satisfaction, which boosts long-term sales and profits. Is the product sourcing marketplace committed to its customers' success? Some marketplaces merely provide access to drop-ship suppliers without offering you the tools and training you need to succeed. Ensure the product sourcing marketplace you choose is committed to the success of your business, and that they provide you with education, training, fraud protection and reliable technology. Identify a niche market. Match your interests to your market. Don't try to sell everything. Research! Remain on constant lookout for popular products that other retailers are not delivering or not marketing well. Sell the benefits. Don't just describe a product's featuresdescribe how the product makes the customer's life easier or more enjoyable. Keep an eye on inventory. Before listing an item, ensure your supplier has sufficient stock. Compete on trust. Customers need to know that their orders are secure, their information is safe, and that you're reliable. This article was written in cooperation with Jeremy Hanks, a co-founder of Doba. I like the idea of drop shipping. I would like to sell frames and art to go along with the Original Abstract art that I sell in my ebay store Urban Picasso Art. I find the Task to be no small feat. Does anyone have any personal experience with Doba or any other Company? Can you suggest other drop shipping sources? eBay store opens local shop to global market.